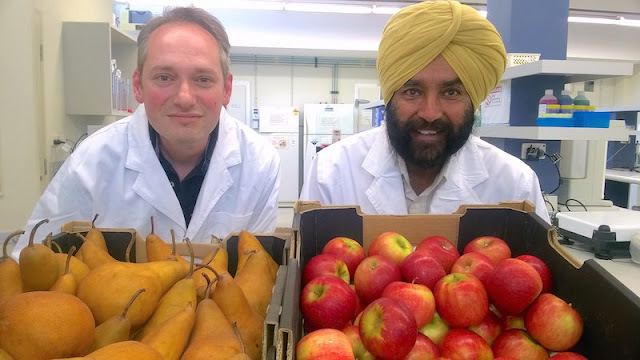 Food waste is a massive problem in food industries worldwide, but particularly so in the UK. The Waste and Resources Action Programme (WRAP) estimates that about 15 million tonnes of food waste arise in Britain each year – of which a staggering 75% is avoidable. We squander over £19 billion each year through such amplitude, which is linked to over 20 million tonnes of greenhouse gases. Consequently, everyone is looking for a way to combat the trend. Indeed, it now seems we’re one step closer to the solution, with new reports that researchers have broken new ground in the preservation of fruits and flowers. According to Produce Business UK, two new initiatives – one British and the other in Australian – are set to ‘revolutionise the situation’ by increasing the shelf-life of such goods. Whether things will change quite that dramatically is somewhat dubious; but let’s suspend our disbelief for a beat or so. First, we venture down under, to the labs of Curtin University, Australia, where Dr Alan Payne and Prof. Zora Singh have reportedly developed a compound which can slow the ripening process of fruits and flowers. As Science Network Australia explains, food spoils due to its natural process of ripening, which sees ethylene gas produced. The new compound developed by the researchers at Curtin, however, is an ‘ethylene antagonist’ – meaning it curtails the production of the gas. In effect, then, the ripening – and therefore spoiling – processes can be slowed. The discovery has won the researchers a Commercial Innovation Award, and they are now seeking partners in developing the compounds commercially. What’s more, Keston Williams, technical director at Barfoots, claims that such compounds as ethylene antagonists could work wonders if used in conjunction with modified atmosphere packaging (MAP) techniques: and, as Produce Business points out, just such techniques are currently being pioneered at Cranfield University, England. If the above innovations to these two stages of the food supply chain – packaging and shelf life – were to be developed in partnership, we could potentially be seeing a huge change to the amount of food wasted each year worldwide. However, whilst it is the case that future WRAP figures could, a few years down the line, be somewhat less startling thanks to these new innovations, it’s also true that changing our cultural attitudes toward consumption in general would almost certainly be a much better fix.